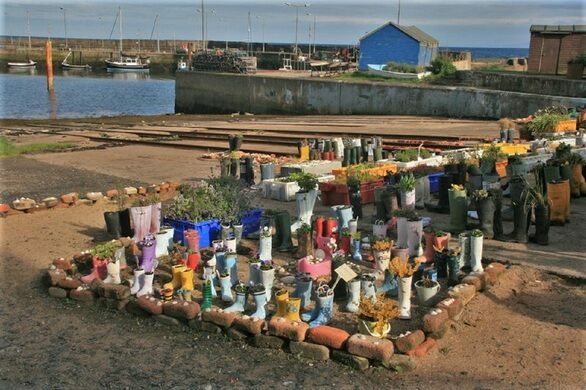 Some cheeky plantings brighten an old slipway on Scotland's Firth of Forth. 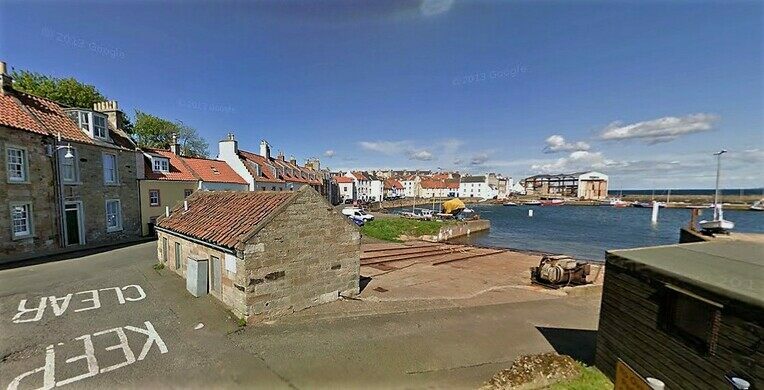 St. Monans is a village on the east coast of Scotland in a hook of land known as the Kingdom of Fife, wedged between the Firth of Tay and the Firth of Forth. For two centuries this small community built ships, including a fishing trawler called a Fifie, particularly adept at catching herring. That business is mostly gone now, and the shipyard at St. Monans has been closed for years. But life at the tiny harbour is still draped in maritime history, which brings a certain number of tourists eager to share in the kind of rugged and salty beauty particular to the East Neuk of Fife. 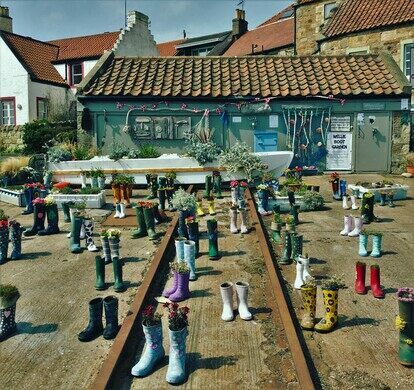 One draw that has grown over the past few years is the Wellie Boot Garden, planted in the old harbour slipway. 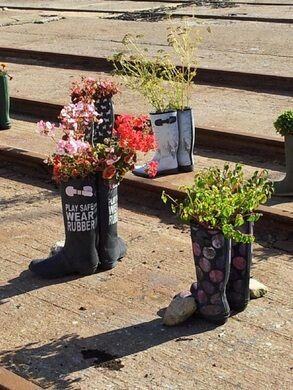 The Wellie Garden was started by Win Brown, a local teacher and amateur gardener who decided to put her grandchildren’s outgrown Wellington boots to good use, and brighten up the slipway at the same time. Old boots came from her students, too, as well as others looking to clear out their closets. So popular was the idea that some 200 pairs, and counting, decorate the rusted slip rails every summer. 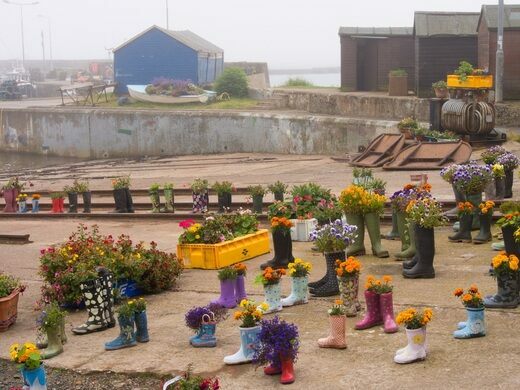 The cheeky little garden has helped St. Monans win some awards in the annual “Beautiful Fife” competition, bringing some welcome attention to a town trying to diversify its economy. If you like what you see, leave a donation (all are given to charity). 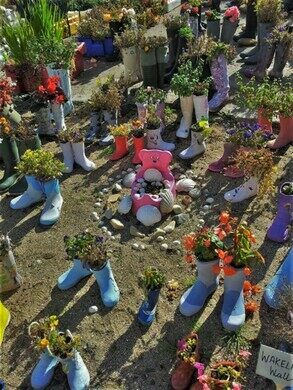 And if you really like what you see, leave a donation and a pair of old Wellies. Those will be put to good use. St Monans is a small village between the A917 and the Firth of Forth, about an hour's drive southeast of Perth. The ruins of Scottish sea salt production. This tiny little cave was said to have been a refuge for a saint with a glowing arm. The only fixed chain and post trail in Scotland snakes its way along the base of a towering seaside cliff.